Pallets are excellent shipping resources because they can be easily moved with a forklift or pallet jack. Once they are placed they are unlikely to move by themselves, and their loads are unlikely to shift if properly secured. When a company ships its products on pallets, they trust their reputation and their customers’ investment to the pallet materials; if a pallet fails in transit, it can damage or destroy an entire load of products. Many companies still use wooden pallets, which after frequent use can chip and become disassembled. 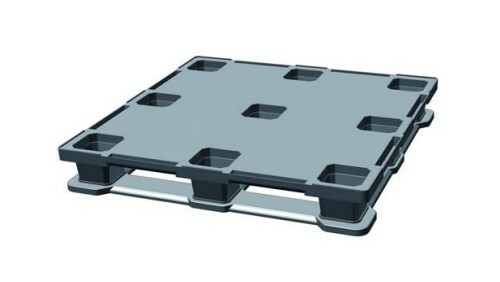 Though some high quality wooden pallet constructions exist, many companies are realizing the benefits of investing in plastic pallets, which are generally superior in terms of durability, susceptibility to pathogenic contamination, resistance to corrosion and heat, lifespan and many other characteristics. Plastic pallets are often more expensive than wooden pallets, but that investment all but guarantees the safe transportation of goods, the long-term reuse of the pallet and fewer investments in new pallets. 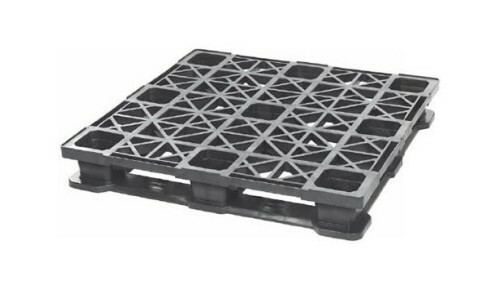 Because plastic pallets are non-porous and generally much less hospitable to organisms like E. Coli and Listeria (which have been found in as many as 10% of surveyed wooden pallets in a study conducted by the National Consumers League), they can be exempt from bio-safety checks during customs inspections when shipped internationally. They are impervious to acids, fats, solvents and odors and are resistant to water absorption or the growth of bacteria, infestation, mold and mildew. All of the qualities that plastic pallets boast are possible because of the materials from which they are constructed. Most plastic pallets are made from high-density polyethylene, or HDPE, though other varieties can be made from V-PP, PE, PP or recycled PET plastic. Companies that export products to countries in Europe, Asia and in other markets have to take those markets’ standard pallet sizes into consideration when shipping. Many European countries, for example, make use of a different pallet standard called the Euro pallet. The Euro pallet is much smaller than the American standard pallet, and because of recent laws in European countries intended to cut down on packaging waste, it can be costly for European importers to dispose of American pallets. Many exporting companies have adjusted their operations to accommodate this difference. Shipping Pallets Shipping pallets are wooden or plastic pallets used exclusively for the shipping of products and materials, usually in bulk quantities. In some cases, shipping pallets are used for the transportation of a few very large or heavy products. A pallet's function is to provide a movable platform that can support and secure an item or items.